At 10am EST this morning Nintendo dropped a Twitter bomb with the announcement of its much anticipated new console: the Nintendo Switch. Info about the Switch has been leaking out for the better part of a year now, but until today the Switch was referred to publicly as the NX. Specs are scarce at the moment with the trailer, embedded below, only showing how you can use the Switch, not what it can do game wise. But holy hell how you can use it. 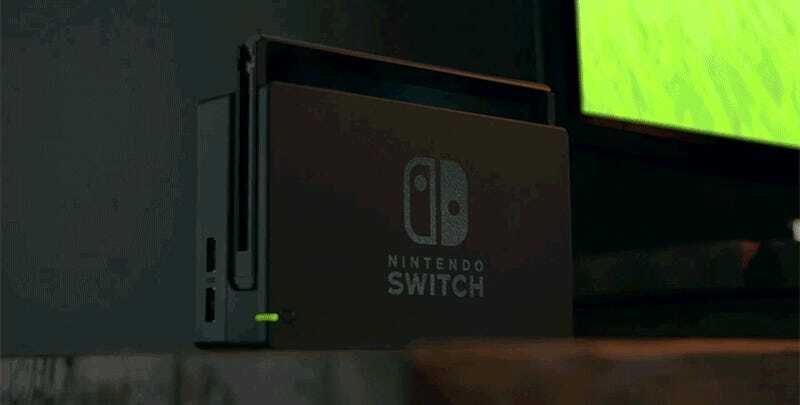 The Switch itself isn’t the usual boxy console. It’s a monitor that appears to be about 6 to 7 inches wide. When used with the TV it slots into place in a dock, but it can be pulled out of the dock and transported anyway. Controllers come in two flavors. A traditional, boring, controller (Switch Pro) and the chunky monkey new Joy-Con controller that can be broken into pieces with the two primary halves used to control the game. Those two halves can be slotted onto the Switch for a giant unwieldy looking mobile system, or they can be used wirelessly. 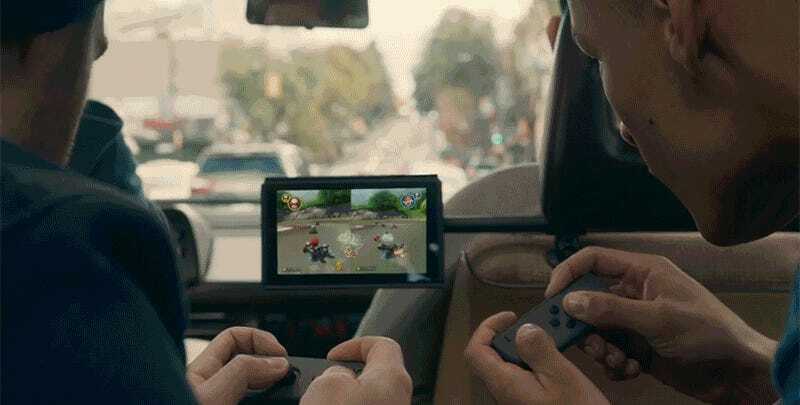 If used wirelessly they can actually each be used by separate players, as evidenced in the moment where two people are playing a new MarioKart game wirelessly. Currently Nintendo has released no details on pricing, and we have a lot of questions, but the system, which will feature titles from nearly 50 game publishers, will go on sale in March 2017. Update: [11:52am 10/20/16] Nvidia has confirmed the Switch will feature a custom Tegra processor.